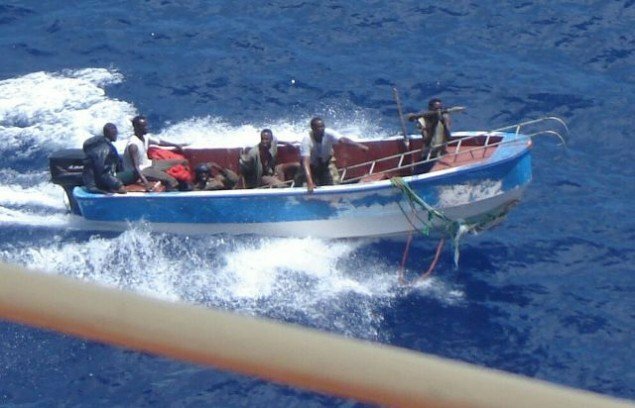 The United Kingdom Maritime Trade Operations (UKMTO) has issued a report advising another ship has been hijacked off Eyl in Somalia’s semi-autonomous region of Puntland, the second attack in under two weeks. The UKMTO is reporting the ship, as yet not named, is now acting like a mothership on the hunt for further attacks. UKMTO acts as voluntary reporting scheme for the Indian Ocean. Eleven days ago the Aris 13 fuel tanker made headlines across the world becoming the first Somali hijacking since 2012. Illegal fishing in the region has been cited as one of the main reasons for the sudden return of piracy to the Horn of Africa.